Mike Olt has had a really crappy 2013 season. After crushing Double-A pitching in 2012 and shooting through the minors to earn a cup of MLB coffee, Olt began this year as a victim of the Rangers’ offensive depth. Blocked at his natural position by Adrian Beltre and also behind the likes of Mitch Moreland and Lance Berkman, Olt started the season in Triple-A, where many assumed he was an injury away from seeing regular MLB time. You likely know the story from here. Olt hit just .213/.317/.422 in 268 PA at Round Rock for the Rangers before being dealt to the Cubs in the Matt Garza deal in July. Since then, Olt hit just .168/.276/.275 in Iowa, finishing with an incredibly ugly final slash line of .197/.302/.368 on the year. 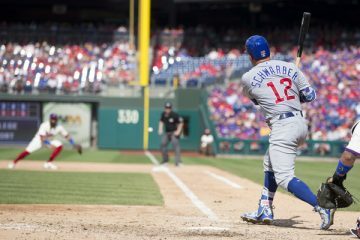 He’s performed so poorly that Donnie Murphy and Luis Valbuena continue to see regular playing time at third base for the Cubs, while Olt regroups and tries to recover in 2014. For dynasty league owners, there’s really just one question that remains: does Olt’s down year provide a good buy-low opportunity for those in pursuit of prospect power, or are Olt’s flaws going to prevent him from seeing MLB success?The good news is that despite his down year, Olt still showed a patient approach at the plate that will be important to any speculative MLB success he has, as he won’t hit for high averages. Olt put up a 13.2% BB% in his 104 Triple-A games, which explains why his OBP finished more than 100 points higher than his AVG. Olt was also unlucky this season, with a BABIP . 288 with the Rangers and of .207 with the Cubs. Unfortunately, that’s about the only good news we can derive from Olt’s season statically. He still struck out in about 30% of his PA. His power numbers plummeted from a year ago, with an ISO below .200. And Olt did not get any better as the season progressed, hitting .200 or worse in both July and August. At one point, many tried to deflect Olt’s performance thanks to reports of trouble with his vision, but if that’s the case it clearly hasn’t improved. It’s disappointing that Olt didn’t prove to be a fantasy asset at all in 2013, but I’m more concerned about how his down year has him positioned with the Cubs in the future. Chicago lacks any clear answer at third base at the MLB level, but Olt is flanked by prospects such as Josh Vitters and Christian Villanueva in the upper minors. Olt’s upside easily surpasses that of those two players, but Vitters just had yet another solid offensive season in the minors and Villanueva is a decent all-around player in his own right. And while we don’t need to worry about this next season – and perhaps not until 2016 – the Cubs have Kris Bryant and Javier Baez waiting in the wings. That doesn’t give Olt much time to cement himself in the Cubs’ lineup and to prove that he belongs there for the foreseeable future. Given the dearth of good free agents who can play third base and the unimpressive options on the Cubs’ depth chart, I do expect Olt to see some playing time in 2014. It should be noted, though, that the Cubs haven’t given a ton of at-bats to players like Vitters and Brett Jackson, even though they have little to lose by doing so. Olt has a chance here, but if he continues to flounder in Triple-A I don’t think he’ll be gifted an MLB spot. Olt is still capable of hitting in the .250-260 range but reaching base at a .340 clip and mashing 25 bombs, sort of like an NL version of Will Middlebrooks. The odds of him becoming such a player have dropped, though, and he’d most likely slot in near the end of a Top 100 list for me now. If an owner wants to completely give up on him he’s not a bad player to take a chance on, but I wouldn’t aggressively pursue him in a trade. 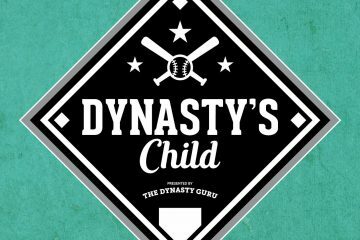 Would you keep Olt in a 12-team dynasty league with 25 keepers? It would be painful to give up someone with 25-30 HR potential but he just turned 25 and he’s running out of time to prove himself. Also, would you keep Olt over Gallo? Obviously Gallo has some big flaws and is a long way from contributing in fantasy, but he is 5+ years younger than Olt (corner infield prospects with big power are hard to find).